For the chief executive of the Royal Canadian Mint, see Master of the Mint (Canada). Master of the Mint was an important office in the governments of Scotland and England, and later Great Britain, between the 16th and 19th centuries. The Master was the highest officer in the Royal Mint. Until 1699, appointment was usually for life. Its holder occasionally sat in the cabinet. The office was abolished as an independent position in 1870, thereafter being held as a subsidiary office of the Chancellor of the Exchequer. During the interregnum (1643-1660) the last Master of the Mint to King Charles, Sir Robert Harley, transferred his allegiance to Parliament and remained in office. After his death in 1656 Aaron Guerdon was appointed. ^ Succeeded as 3rd Viscount Chetwynd in 1767. ^ Succeeded as 3rd Baron Cadogan in 1776. ^ a b c d e f g h i j k l Ruding, Rogers. Annals of the coinage of Great Britain and its dependencies. Retrieved 2012-07-15. ^ Challis 1992, p. 259. Wikimedia Commons has media related to Mint masters. Challis, C. E. (1992). A new history of the Royal Mint. Cambridge University Press. ISBN 0-521-24026-3. Baron Stafford, referring to the town of Stafford, is a title that has been created several times in the Peerage of England. In the 14th century, the barons of the first creation were made earls. Those of the fifth creation, in the 17th century, became first viscounts and then earls. Since 1913, the title has been held by the Fitzherbert family. Baron Feversham is a title that has been created twice, once in the Peerage of Great Britain and once in the Peerage of the United Kingdom. The first creation, in the Peerage of Great Britain, came in 1747 when Anthony Duncombe, who had earlier represented Salisbury and Downton in the House of Commons, was made Lord Feversham, Baron of Downton, in the County of Wilts. He had previously inherited half of the enormous fortune of his uncle Sir Charles Duncombe. However, Lord Feversham had no sons and the barony became extinct on his death in 1763. The peerage was revived in the Peerage of the United Kingdom in 1826 in favour of his kinsman Charles Duncombe, who was created Baron Feversham, of Duncombe Park in the County of York. He was a former Member of Parliament for Shaftesbury, Aldborough, Heytesbury and Newport. Duncombe was the grandson of Thomas Duncombe, son of John Brown by his wife Ursula Duncombe, aunt of the first Baron of the 1747 creation. Ursula had inherited the other half of her brother Sir Charles Duncombe's fortune. Lord Feversham son, the second Baron, sat as a Conservative Member of Parliament for Yorkshire and the North Riding of Yorkshire. The following list contains many of the people that held the office of Master of the Horse in England. The list is not complete, because many of the earlier holders are unknown. The periods of service for some of the earlier holders are patchy, as well. 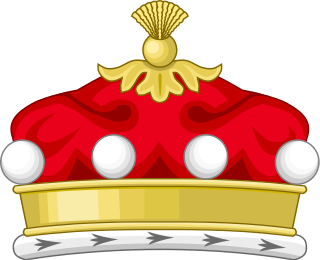 The Lord Warden of the Stannaries used to exercise judicial and military functions in Cornwall, England, in the United Kingdom, and is still the official who, upon the commission of the monarch or Duke of Cornwall for the time being, has the function of calling a Stannary Parliament of tinners. The last Stannary Parliament convened by a Lord Warden of the Stannaries sat in 1753. The Sheriff is the oldest secular office under the Crown. Formerly the Sheriff was the principal law enforcement officer in the county but over the centuries most of the responsibilities associated with the post have been transferred elsewhere or are now defunct, so that its functions are now largely ceremonial. Sir Edmund Shaa or Shaw was a London goldsmith, Sheriff of London in 1475 and Lord Mayor of London in 1482. Shaa lent money to Edward IV and, as mayor, was extensively involved in the coronation of Edward IV's brother Richard III. He was later knighted and made a member of the Privy Council. The Governor of Portsmouth was the Constable of Portchester Castle from the 13th Century to the reign of Henry VIII. Since then Portsmouth had its own military Captain or Governor, who was based in the Square Tower built in Old Portsmouth in 1494 as part of the fortifications to protect the rapidly expanding naval port. The Coats of Arms of former Governors of Portsmouth are displayed on the walls of the Square Tower's Lower Hall. In 1540, the Hospital of St. Nicholas, suitably converted and modernised, became the military centre of the town. Its Domus Dei, now the roofless Royal Garrison Church, became the residence of the Captain or Governor. The Governorship was abolished in 1834.